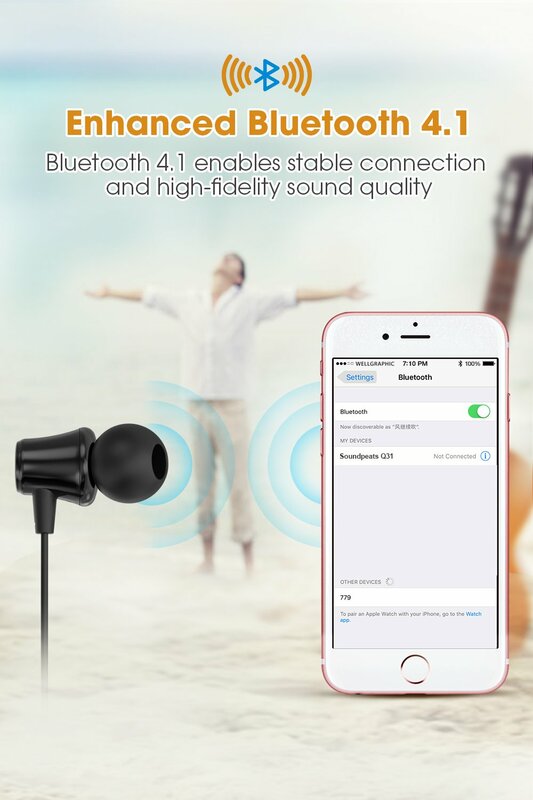 【Super Sound quality+ Bluetooth 4.1】Smart in-line control with high fidelity microphone, enables convenient remote control for music play and phone calls. 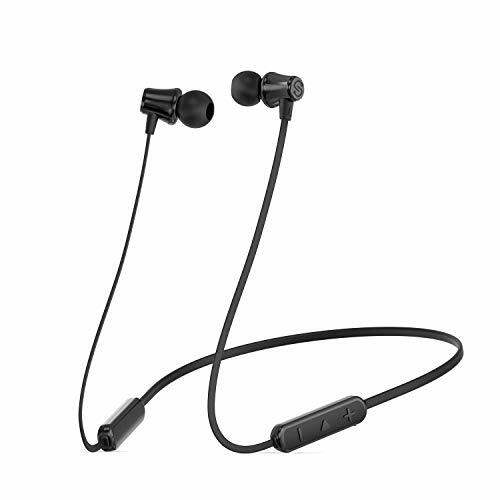 The design adopts high definition noise isolation CVC 6.0 technology to ensure clear and smooth hands-free communication. 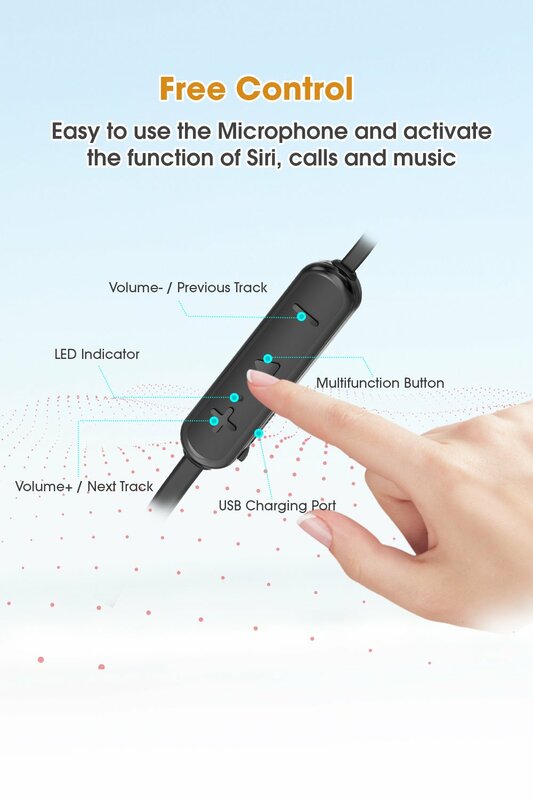 【Long-lasting & Ergonomics design】Upgraded built-in lithium batteries support up to 8 hours talk / music time with battery indicator on IOS and Android (depends on volume and audio content) for prolonging enjoyment. 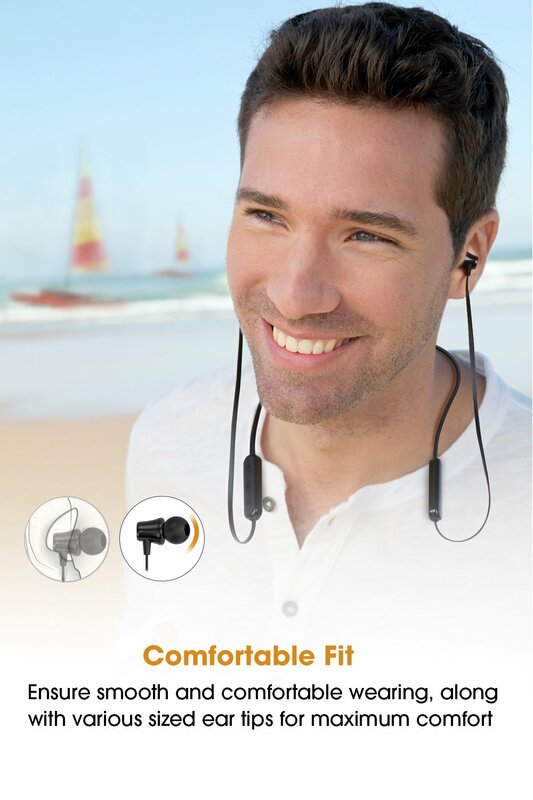 1-2 hours charge can get full energy back.Symmetrical balance and Ergonomics design ensure a comfortable fit. 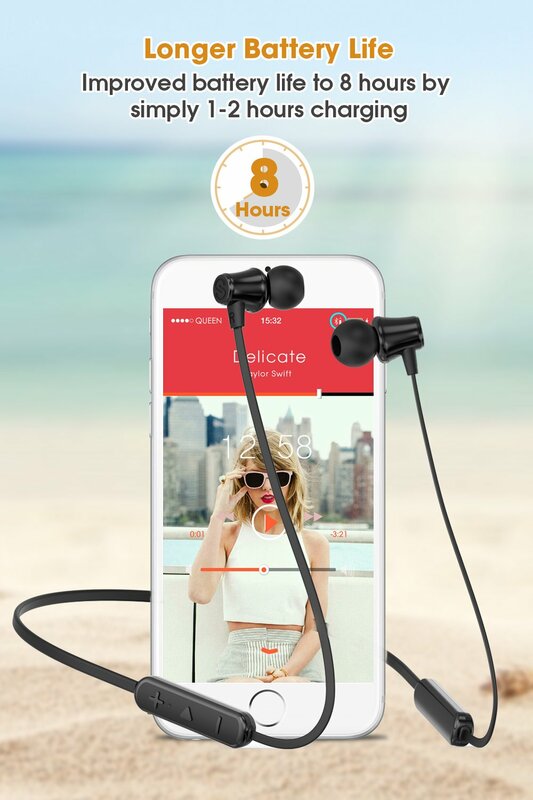 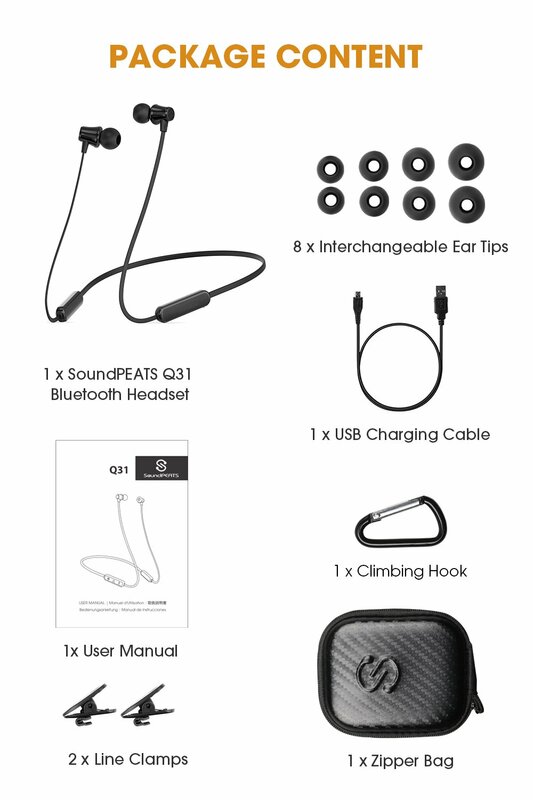 【Sweat Resistant & Built-in Magnetic Design】These earbuds are rated IPX5 rating and can withstand sweat, splashes and wet weather conditions, enhancing the headphone’s using life. 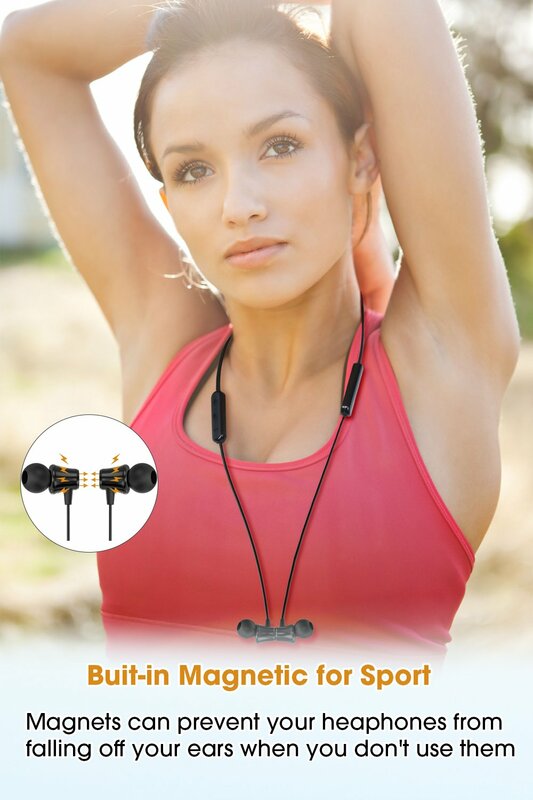 You can attach the two headphones together when not using, and wear like a necklace around your neck, a convenient way to carry around when you don’t need them.